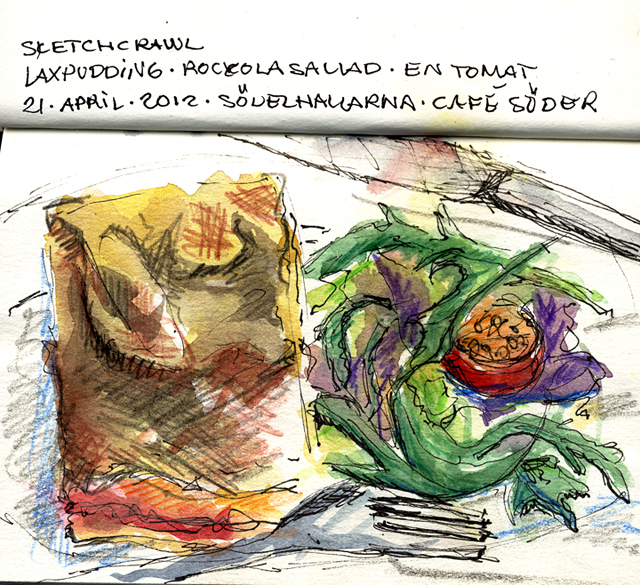 so we spent one hour in the park at Medborgplatsen before retreating to the warmth of a café in Söderhallen. I think we all had a lot of fun. Last edited by DavidMeldrum on Sat Apr 21, 2012 4:12 pm, edited 1 time in total. 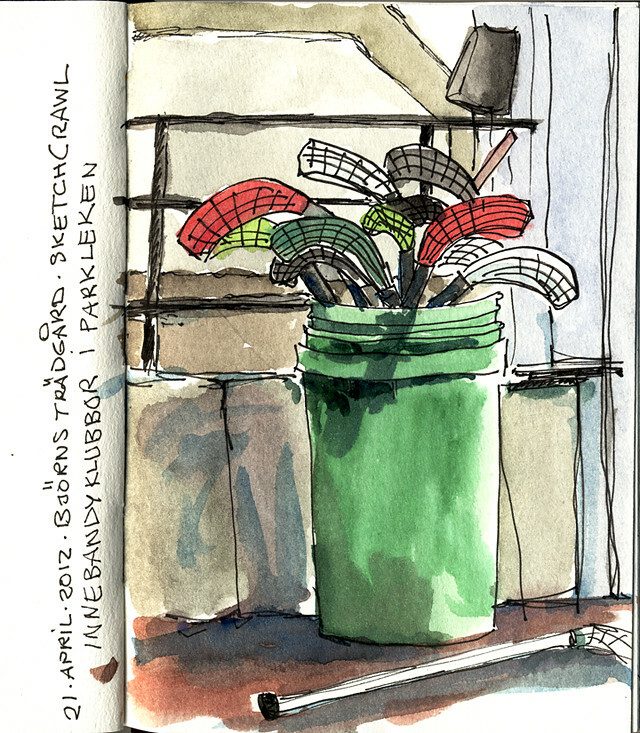 Here are my two sketches from today's SketchCrawl. Thank you for a very enjoyable day! Thanks for braving the wheather and sharing the results! These are my sketches from today. And a photo with David in it too. I had great fun today, and I hope we can do this again soon! very rich colors I like it ! DavidMeldrum - Wonderfully captured the motion and ambience! 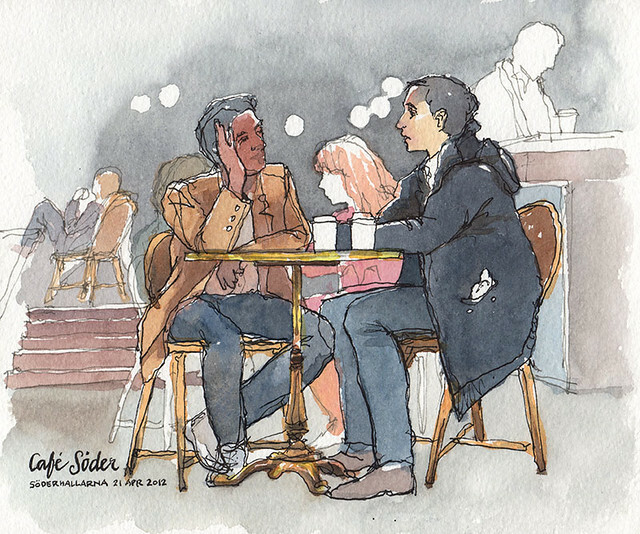 Nina - Beautifully composed pages, Brilliant café sketch. I can almost smell coffee aroma! 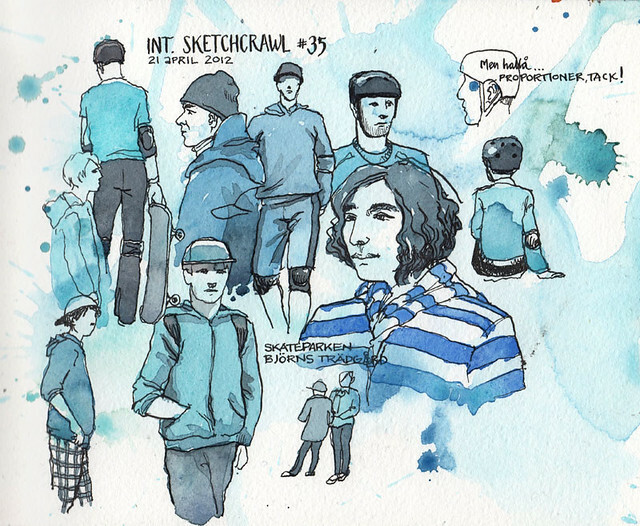 Awesome sketches David and Nina! It's not easy to draw with cold fingers but you did great! 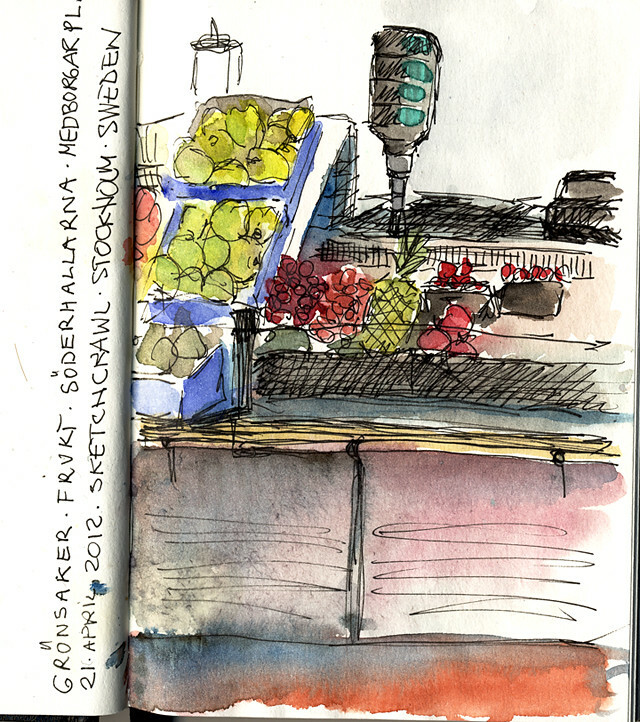 I had a really fun time sketching with the Stockolm Sketchers! 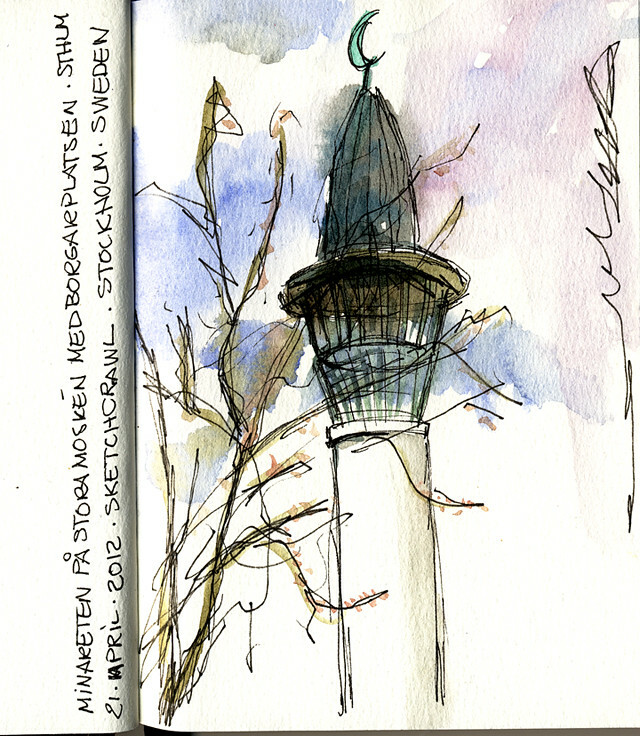 The minaret of the Stockholm Mosque. Fruit and vegetable market just were we sat and had lunch. 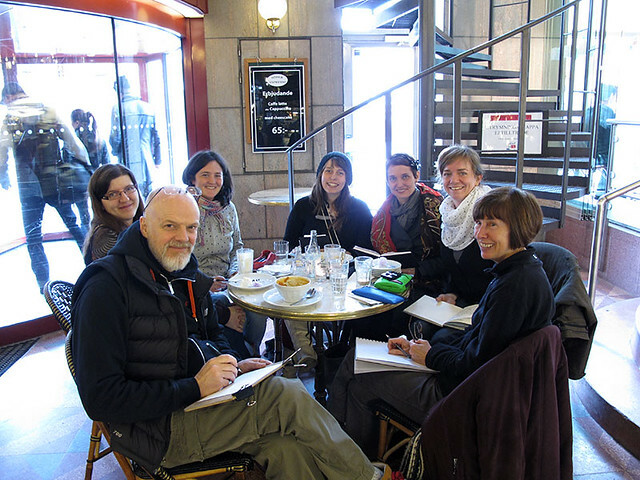 warm atmosphere in spite of the weather and nice sketches ! If you have websites I can link to in this post, please let me know! Well done for sketching in fridge temperatures. Your watercolours are all great, especially ninjoh's !